Although my initial plan for this project was simply to trial the Respecting Diversity Program with two classes at my school, my research leading up to the implementation of the plan influenced a small addition to the project. At least two of the studies that I had read during the research phase of this project (Morningstar, Shogren, Lee, & Born, 2015; Shogren, et al., 2015) identified clear and consistent behaviour expectations as a commonality in classrooms and schools that had been recognized for their successfully inclusive approach. For this reason, I decided to add explicit teaching and practice of behaviour and social expectations to my plan for Group B. I knew that I would be leading all of the lessons with this group, (versus co-teaching them), and felt that this group in particular would really benefit. My goal, while simultaneously running the RD Program, was to establish clear behaviour and social expectations with the group. The plan for achieving this goal was to use social stories, visuals, interactive modeling and lots of practice. 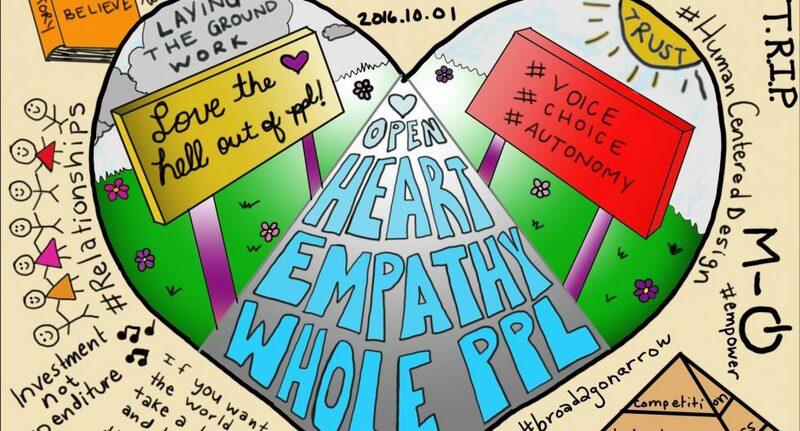 I started working on this goal right from the start of the project. Before starting lesson 1, I mentioned to the students that I would be visiting often over the coming weeks, and that I felt it was important to discuss and establish clear behaviour expectations for our time together. 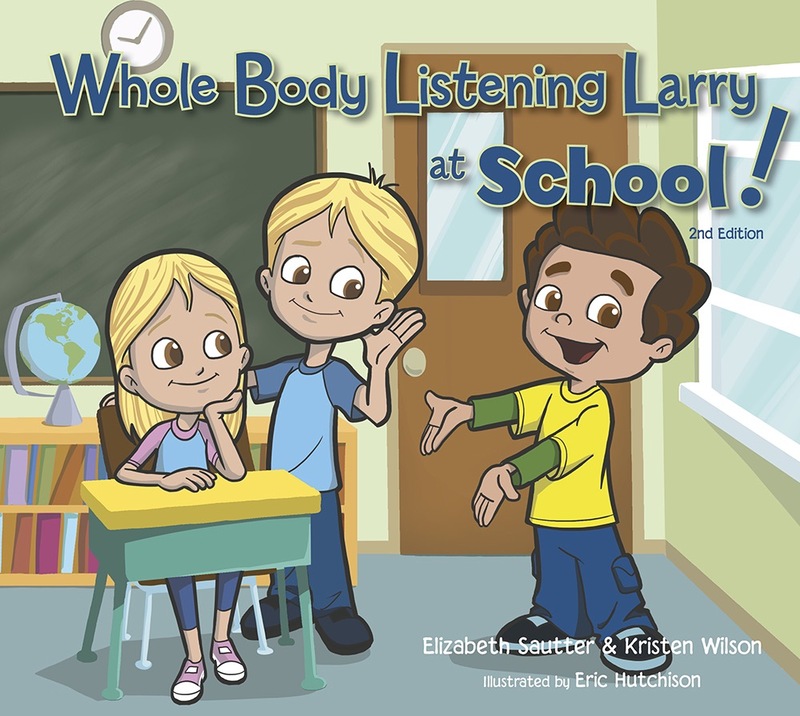 Because I’ve had a lot of success with social stories, I decided to start with the book Whole Body Listening Larry. I hesitated, thinking they might be too old for it, but they seemed interested in listening to the story, so I went with it. During our discussion after reading the book, they seemed to have a clear understanding of what whole-body listening means. Unfortunately, what played out afterwards during Lesson 1 of the RD program, wasn’t overly encouraging. Students were speaking out of turn, walking around the room, and were sprawled out all over the carpet. I reminded myself that everything takes practice, and I tried not to get too discouraged. While watching the video footage afterwards, I also realized that I had probably kept them at the carpet for far too long. After this challenging first lesson, I decided that I really needed to set some boundaries, add a bit more structure, and shorten my lessons (or at least get them moving more). I made a seating plan on the carpet for the following lessons, and mapped out each person’s personal space with tape. At the beginning of the following lesson, I calmly and respectfully shared with the students that we had some changes to make in order to work better together as a team, and that I was confident that with a bit of work and practice we could get there. I shared the seating plan with them and also introduced them to the idea of control breaks, an idea that I had picked up from The Responsive Classroom that essentially has students taking a break outside the group in a designated area, where they can still attend to the lesson, while also working on regaining control. This group is also a group that likes to negotiate (e.g. Seating arrangements, working in the hallway, EVERYTHING!). Although I like to be flexible with students, I felt that I had to take back some of this control until expectations were being followed and students were being respectful. I clarified this with them as well. Finally, I also shared that I realized I had kept them at the carpet for too long the last time, and vowed that I would try and change things up a bit more, by adding in more hands-on work and movement breaks throughout the remainder of the program. The aftermath during Lesson 2 was much more encouraging than what had occurred after Lesson 1, and I felt like we were now heading in the right direction. In the lessons that followed, most sessions went well. I continued to model acceptable behaviour in different situations (e.g. transitions, group work time, etc.) and had them practice and re-do these tasks when things weren’t going well. I used visual timers to keep them on task during busier lessons, as well as noise control visuals (a traffic light system) to clarify noise level expectations at different times. I also had them stop every now and then, and at the end of each lesson to quickly reflect on how the group was doing, by showing me their thumbs up or thumbs down. 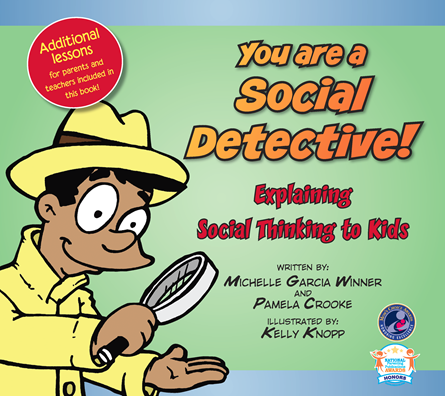 Another useful resource was the book You Are a Social Detective, which teaches students how to use their social smarts to decide what is expected behaviour in different situations. This is one of my favourite resources for teaching kids about behaviour expectations, as well as how it makes others feel when we don’t follow these. It is a fairly long book and may have been better read over two sessions, but it was helpful nonetheless. The term social smarts also linked nicely to the conversations we were having about other smarts (multiple intelligences) throughout the RD program, and I tried as much as possible to refer back to the book throughout our time together. When we got to the RD lesson on the brain and disabilities, I revisited expectations, particularly noise control expectations, and how following these can also help students with sensory challenges like noise sensitivity (which is the case for 2 students in this class). What was even more powerful was that these two students spoke up with confidence about this challenge they face, and also shared how their peers can help them. We also discussed helping peers who might have trouble following behaviour expectations because of a disability, and talked about how we can help them to develop these skills by being good role-models. On a few occasions, we had to regroup and review behaviour expectations again. During these discussion, I relied a lot on the positive attachment that I had established with most of them since starting at my school a couple years ago. I spoke frankly about my feelings and shared that I always do my best to be respectful towards all of them, and that I was disappointed that I wasn’t getting the same in return. They seemed to genuinely care that I was disappointed, and made a noticeable effort in the lessons that followed. Overall, I started to see improvements in their behaviour throughout the program. Students were more respectful and less argumentative. I’d be lying if I said it was seamless, but overall it was an improvement and one that was noticed by other adults as well! Hooray!